Police can arrest people that they believe are involved in a crime. In less serious cases they can charge someone with a crime without arresting them. After they arrest someone the police must let them go unless there is a good reason to keep them in jail until they go to court. Sometimes, as part of their job, the police must make an arrest. In some situations, the police can arrest you if they have reason to believe that you are involved in a crime. An arrest warrant is a piece of paper that allows the police to arrest the person named in the warrant. It must be signed by a judge. A judge will sign an arrest warrant if the police provide evidence that the person named has committed a crime. Police do not usually have the warrant with them, but if you are arrested you have a right to see it as soon as possible. An arrest warrant must include your name or a description of you and the reason for your arrest. Reasonable grounds means there is a good reason for believing something. The belief must be more than just a guess or a hunch. It must be based on something that would cause a fair-minded person in the same situation to come to the same conclusion. The police can always arrest you if you have caused a disturbance or are about to cause one. They can also arrest you if you have broken a liquor law by, for example, being drunk in a public place. If you are arrested you are not free to leave. Leaving or attempting to leave is a criminal offence. If you are arrested you must tell the police your name and address, if they ask. If you are not sure if you have been arrested ask the police. Do not lie to the police, get into an argument with them or fight them. If you think that you have been treated improperly you can make a complaint later. You have certain rights if you are arrested. You have the right to remain silent, except to give your name and address. If you do say anything else it could be used in court against you if you are charged with a crime. You have the right to contact a lawyer. If you cannot afford a lawyer you can contact Legal Aid. If you are arrested the police must follow certain procedures to collect evidence of the crime. They must ensure their safety, your safety, and the safety of the public. The officers will identify themselves as police officers. You will be told that you are under arrest. Ask for an interpreter if you need one to understand what is going on. You will be told the reason for your arrest. The officer will take physical control of you. This may be as simple as placing a hand on your shoulder. The officer will inform you of your rights and you will be asked if you understand your rights. You will be asked if you want to call a lawyer and be given a chance to do this. You will be searched and should expect to be handcuffed, for public and officer safety, before being placed in a police vehicle. You may be subject to a further search. You may be released or taken to a police station, depending on the circumstances. You will be asked questions by the police. Remember you do not have to say anything except to give them your correct name. Can the police keep you in jail? 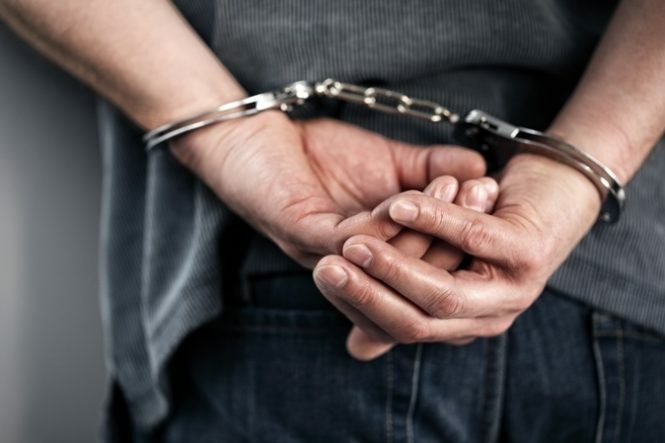 If you are arrested with a warrant, the police can release you with or without conditions or keep you in custody and have a judge or justice of the peace decide if you can be released. If the police keep you in jail they must bring you before a judge or justice of the peace for what is called a show-cause hearing as soon as possible, or within 24 hours. The judge will decide whether or not to release you and on what conditions. If you are kept in jail, you should contact a lawyer as soon as possible.